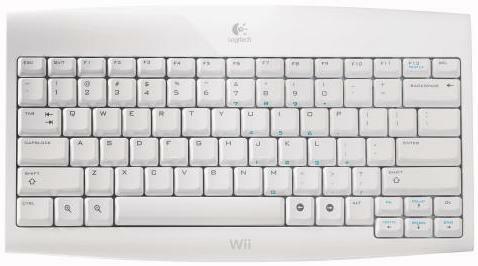 The world leader in personal peripherals, driving innovation in PC navigation, Internet communications, digital music, home-entertainment control, gaming and wireless devices, Logitech has announced the launch of a new accessory for chat-oriented games and Wii Internet Channel – Logitech Cordless Keyboard for Wii, which is officially licensed by Nintendo. This wireless full-size QWERTY keyboard can perform from up to 30 feet (10m) from the Wii gaming console thanks to 2.4-GHz wireless technology. The new and compact Logitech Cordless Keyboard for Wii will be available in coming August for about $50.